I am very proud to have played a very small role in one of the most impactful movements of our generation. I have seen and heard the effect of Idle No More, not just within Indigenous communities, but in communities in general. There were many different people from all walks of life and background that came together, in solidarity and unity. This created important relationships – ones that have not existed in any time before. 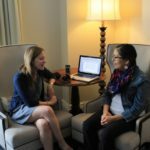 While in Edmonton last week, we had the pleasure of sitting down with Aboriginal activist Tanya Kappo. A citizen of the Sturgeon Lake Cree Nation in Treaty 8 territory, Kappo’s been a busy woman. Her activism came to the fore a number of years ago when she played a vital and seminal role in advancing the Idle No More movement. But the mother of three has no plans of slowing down. In fact, she recently added to her full plate when she started working as a lawyer with a strong focus on residential school survivors. 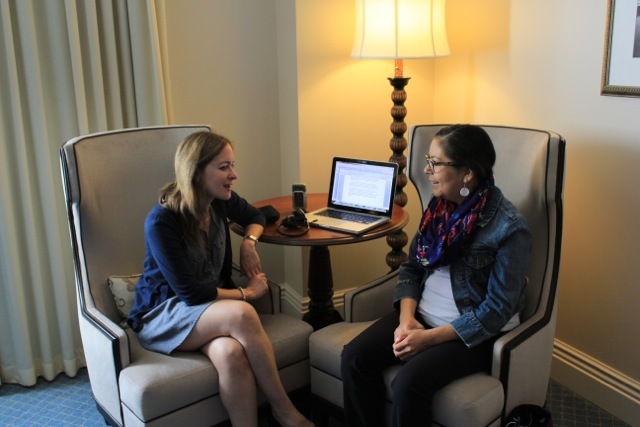 Kappo has strong ties to residential schools and activism – many in her family were residential school survivors and her father, a Cree leader, wrote the Red paper as a response to the 1969 White Paper – but her ammunition has always remained peaceful tools for change. And her mission: improving the living conditions for First Nations people and advancing Canadian understanding of indigenous people remains strong.